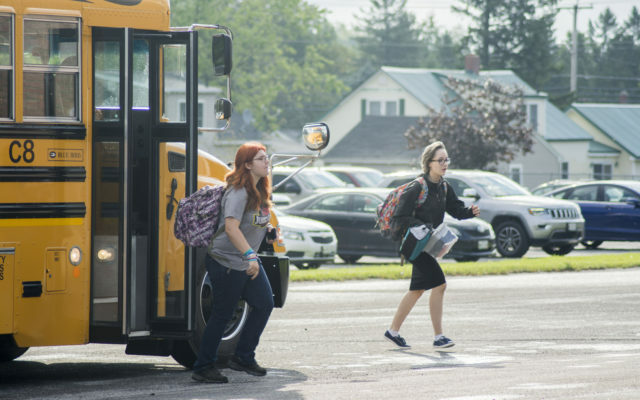 The main office of Caribou High School was buzzing with activity on Wednesday morning, the first day of school, with a seemingly endless stream of students coming in asking for schedules, information about their homeroom, or help with their locker combinations. 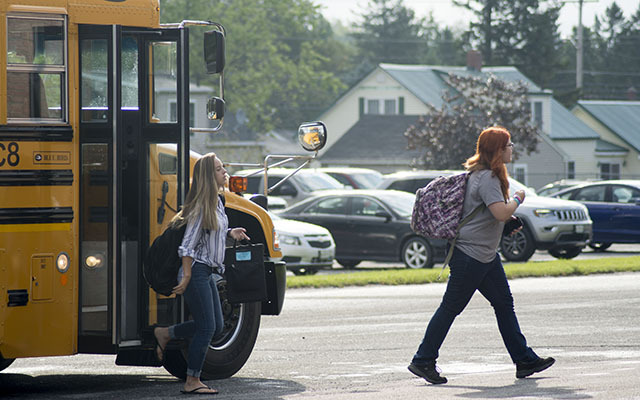 CARIBOU, Maine — The main office of Caribou High School was buzzing with activity on Wednesday morning, the first day of school, with a seemingly endless stream of students coming in asking for schedules, information about their homeroom, or help with their locker combinations. 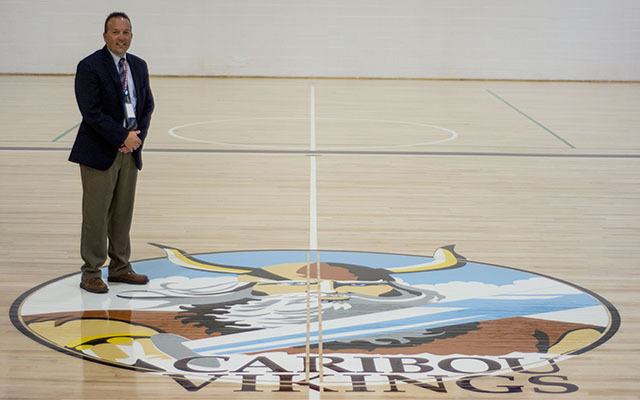 Caribou High School, like several other schools in The County, begin in mid-August to compensate for a two week potato harvest break in September and October, a long standing northern Maine tradition that is still going strong in Caribou. Schools in Easton and Presque Isle also were opening their doors this week, while St. John Valley students return to classes on Aug. 22. Elementary schools in the Caribou area, however, don’t break for harvest, so those students won’t be returning until Aug. 29. Caribou High School Principal Travis Barnes said Wednesday that the school has surveyed students after the harvest break every year since he has served as principal, and that student participation is still strong. RSU 39 Superintendent Tim Doak said that if student participation in harvest drops to 15 percent or less, he and other school officials would meet with local farmers before any decisions are made, adding that the high school, on average, sees a participation rate ranging from 18 to 22 percent. In terms of overall student population, Barnes said the incoming freshman class of 114 has resulted in roughly 20 more students than last year, and that CHS now has a total enrollment of about 470. Fifteen new staff members were hired by RSU 39 over the summer, many of which are employed at the high school. According to Doak, RSU 39 received about 125 applications in the past months. Barnes agreed, adding that he saw a “plethora of applicants” for every position within CHS. Among the new hires was Caribou police officer Kevin St. Peter, who will serve as a resource officer primarily in the high school, but also in Teague Park Elementary and Caribou Middle School. St. Peter is currently attending training courses to work in the school, and will officially make a presence on Monday, Aug. 27. Barnes said the school resource officer will be treated just like a school employee. He will have a school email account, allowing students to communicate with him, and both Barnes and Doak said he also will serve a counseling role in addition to protecting the student body. Doak said that, when parents heard RSU 39 was searching for an officer, he received some emails from parents indicating they were excited about the idea. In addition to new staff and a bump in student population at the high school, local contractors recently completed several renovations at the facility over the summer. Work included reinforcing the roof below the main office with steel beams, replacing office windows with more insulated glass, and a complete renovation of the gym, from the floors to the bleachers. 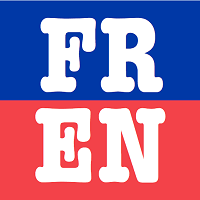 Doak said the school also is offering free breakfast for all high school students until November, to see how the program is received, at which point numbers will be reported to the board of education and a decision will be made regarding whether or not the meal program will continue.